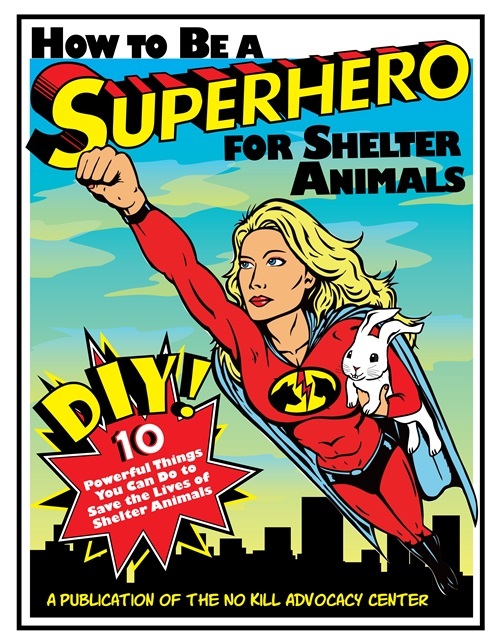 Be a Superhero for Animals! Posted: July 17, 2015 | Author: SiameseCatTwins4Ever | Filed under: Uncategorized | Tags: cats, dogs, Go No Kill, no kill, no kill shelters, pets, saving animals, saving bunnies, saving pets | Comments Off on Be a Superhero for Animals! FANTASTIC Guide to saving lives! PETA and HSUS Both OPPOSE Legislation to Save Animals! Posted: April 3, 2015 | Author: SiameseCatTwins4Ever | Filed under: Uncategorized | Tags: hsus kills, no kill shelters, peta kills, pets | Comments Off on PETA and HSUS Both OPPOSE Legislation to Save Animals! The Companion Animal Protection Act is model legislation written by my organization, the No Kill Advocacy Center, that would make it illegal to kill animals in shelters when rescue groups are willing to save them, would make it illegal to kill animals if there are empty cages and kennels, would ban the gas chamber in those states that still allow it, would require shelters to provide quality care, and would mandate that shelters make their statistics public. Similar laws in other states save tens of thousands of animals every year, have reduced killing statewide by 78%, and have cut millions of dollars in wasteful spending. Such a law is not only necessary, reasonable and an effective means of saving lives, its passage would also bring sheltering procedures more in line with the humane, progressive values of the American public. But the large, national groups that should be championing CAPA are trying to defeat it. Time and again, these organizations behave as lobbyists not for the animals being killed, but for those killing the animals. Florida: Legislation currently pending in Florida would end convenience killing (killing when there are empty cages or rescue groups are willing to save them), it would end retribution killing (killing animals who rescuers want to save because they spoke out publicly about inhumane conditions in the shelter), it would encourage TNR for community cats, and would allow animals to be adopted out more quickly. Florida CAPA has been introduced in both the House and Senate, but it is already being opposed by regressive shelter directors. The director of Tallahassee Animal Services has argued that CAPA is a bad idea because it would require her not to kill if there are empty cages, something she insists he should have the right to do. In her view, these animals are better dead than fed. Connecticut and Minnesota: Legislation being considered by a Task Force in Connecticut would end convenience and retribution killing, as well. It is being opposed by the Humane Society of the United States, which last year helped kill a similar law in Minnesota. HSUS has stated that it will “actively fight” CAPA, that animal rescuers are hoarders in disguise, and that these animals are better off dead. 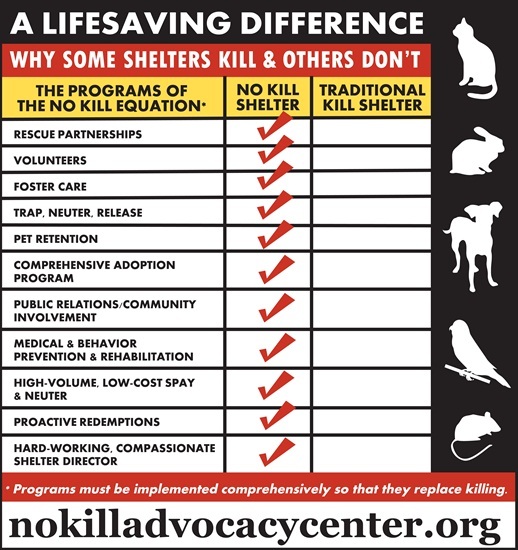 If we are to succeed at reforming our nation’s kill shelters, if we are to end convenience killing, retribution killing, cruel methods of killing, and neglect and abuse in shelters, we are going to have to do it ourselves. If you live in Florida, Maryland, or Connecticut, lobby your legislators to cosponsor CAPA. Stop making excuses for those who kill animals. Stop supporting these groups with your philanthropic dollars. Your donations are being used to thwart lifesaving reform. Stop giving these disgraceful “wolves in sheeps’ clothing” donations, that they use as BLOOD MONEY! Trap-Neuter-Return (TNR) is practiced by all civilized and responsible communities, because TNR works. It has been proven in the field by the EXPERTS, (as opposed to the disproven, ignorant diatribes spewed by the cat haters who do not have a clue about TNR, much less understanding how well it works and that it is based on good ole’ fashioned common sense, and hard science.) These same cat haters, who hypocritically call for the deaths of living souls (Cats) who are equally as precious and deserving of life as the rest of us, arent interested in the facts, because they have an agenda, and no matter how fictional it is and no matter how disproven it is, they cling to their mythical agenda in blissful ignorance because they wish to see cats dead, rather than alive. These same hypocrites fail to mention that there are over 7 billion human animals walking this Earth, destroying everyone and everything in their paths (next target: feral cats), and yet nobody calls for OUR eradication…..funny how things change when YOU are the one targeted for death. We have no problem saying “Kill, kill kill kill” like a bunch of uncivilized cavemen/women, yet if someone wanted to kill US, our song would change to “Save us, save us, save us, save us”. So I decided that, for those who care about the facts, that I’d share them with you. Calling for the deaths of precious souls..cats, is wrong. No amount of verbal anti-cat spewage can ever make it right. TNR is a process where caregivers who are feeding feral cats trap them in humane traps. They then take them to a spay/neuter program, or to a nearby Vet who they are familiar with and after recovery, return the cats to where they are feeding them. Adoptable cats and kittens are placed in homes whenever possible. Just because you see a cat outside doesn’t mean that they are feral…they could be PETS, and killing someone’s pet is a CRIME….morally and legally. Furthermore, pets should not be targeted for death, because their OWNERS let them outside, anymore so than a 4 year old kid should be killed for roaming around the neighborhood because their deadbeat parents werent watching them. A life is a life. A soul is a soul. Our human animal ignorance and arrogance notwithstanding. Information on how well TNR works is readily available to anyone who wishes to look for it. The Stanford University Cat Network reduced its feral population from 1000-1500 cats to 300 over a ten-year period. The Southern Animal Foundation in Louisiana reduced one New Orleans population from 500 to 65 over three years, through TNR and adoptions. Astonishing numbers of kittens have not been born due to these efforts. In fact TNR has worked EVERYWHERE, that has given it a fair chance to work. TNR is the compassionate approach/solution to reducing the feral and stray cat populations. TNR teaches compassion and responsible cat care. While TNR actually reduces the number of cats breeding, it also opens the door to educating people about the importance of spaying and neutering, and the plight of feral and stray cats. Trapping and killing teaches young and old that it is okay to create unwanted offspring and then kill the surplus – leaving no room for education or compassion for life. Trapping and killing does not solve the problem. Trapping and killing has been practiced for many years and the verdict is in: IT DOES NOT WORK. For all the years this inhumane, careless, and heartless killing was practiced, the cat population continued to explode. There are MORE feral and stray cats where the communities kill them, and LESS feral and stray cats where the communities TNR them. Do the math. Did I mention that killing cats costs taxpayers MORE money than TNR’ing the cats? Yes, indeed, trap and kill is more expensive than TNR. Trapping and killing cats is a tax payer burden. It costs on average $75 to $100 for an animal control agency to trap, house, kill, and dispose of one cat. It costs a TNR program $25 to spay or neuter one cat. Yet again, do the math and tell me what you come up with. Caregivers will not allow these innocent cats to be cruelly killed. Thousands of kind people feed and care for feral and stray cats. Most will not allow the cats they feed to be trapped and killed, but welcome the opportunity to have the cats trapped, neutered and returned. If their only choice is to have the cats killed, they will opt to do nothing and the cats will breed – adding to the overpopulation problem. Society does not support trapping and killing. When communities have tried to implement mass trapping and killing efforts, the community outcry has stopped the effort. TNR helps reduce the number of cats euthanized at shelters. When fewer kittens are born to feral and stray cats, fewer cats and kittens enter shelters. This means fewer are killed because there aren’t enough homes for all the cats who need them, and fewer are deemed unadoptable because they are wild (untamed). Fewer cats competing for adoptive homes means more find a home and fewer are therefore euthanized. TNR works. Killing is wrong. TNR prevents killing and reduces the feral/stray cat populations. For the third time, do the math. For more info on TNR, go to the experts, Alley Cat Allies. I hope that you have been enlightened by these facts and that you be will compassionate, civilized, and economically smart enough to demand that YOUR city implement a city-wide TNR Program and give it a chance….you’ll see for yourselves…that it works.